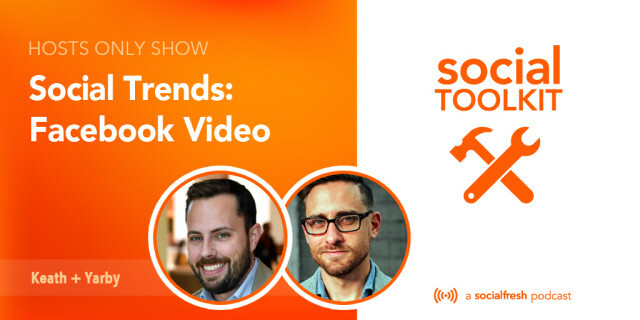 Every month or so Jason Keath and I like to do a hosts only show on the Social Toolkit to catch you up on the news and trends of the industry. In this hosts only episode, Keath and Yarby discus today’s social trends, including Facebook video, updates to Facebook CPC, and Facebook Shopping on Pages. Plus recent Twitter news, Snapchat, Vine, and Meerkat updates, Pinterest pins,Slideshare leadgen ads, and customer service in social media.